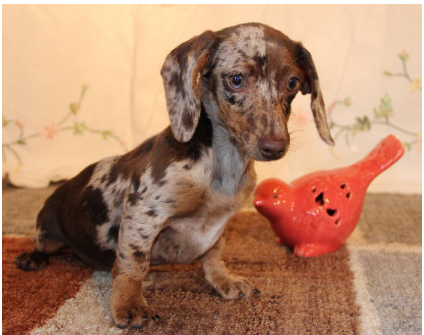 *Our Miniature Dachshund pups always come with dewclaws removed, up-to-date on their vaccines & dewormings, also with 1 yr. Health Guarantee if $900 or more. Be sure to read our Puppy Care page for preparation as well as our Guestbook page from our many happy new families! Early deposits of $250 will reserve your puppy. PAYPAL LINK IS ON INFORMATION PAGE. Can also take credit card information over phone. 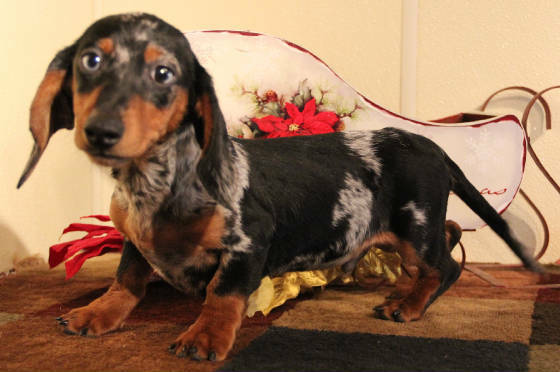 We can ship your Miniature Dachshund puppy to your state for $400 (Only $500 for 2 puppies in the same crate) . Can fly your puppy to Denver, CO for $150 to be received at Centennial Airport morning & evening flights. Both options include a crate you keep. 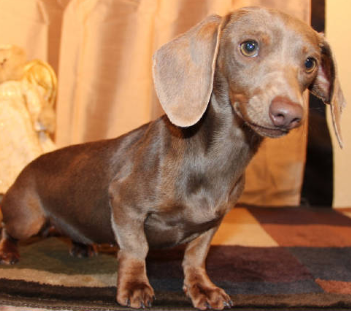 Miniature Dachshunds, known by many names: Dachsies, Doxies, Weiner Dogs & Hot Dogs are truly a delightful little breed. Brave little individuals who love people. Never seem to know a stranger. Hysterical to watch as they run being propelled by their tail. You can tell they are having FUN! 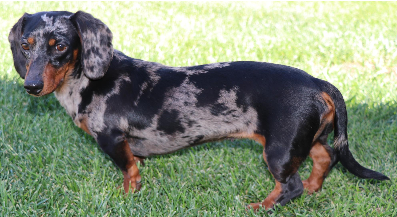 It's easy to see why they come in so many colors (black, black/tan, black/cream, red, red sable, chocolate, chocolate/tan, blue, blue/tan, Isabella, Isabella/tan, English cream and wildboar) and patterns (Brindle, Dapple & Piebald (all these patterns come in all colors)) and hair textures. You can't have just one! But how do you decide? Smoothcoats are no work at all. A true wash-n-wear dog ever so well-built. Longhaired need minimal grooming, mostly just behind the ears, though so worth it when you get to pet that amazingly silky soft coat. Wirehaired are just so darn adorable with easy care. Kinda got that gruffy, grumpy look going but we are finding them to be the sweetest natured of them all. "Soldier" AVAILABLE $1200 as a pet or $1400 with his Full AKC. He is really nice and friendly. Gets along well with whatever puppy he is with! 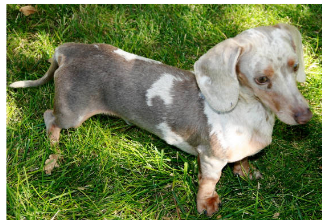 Isabella/tan Dapple Piebald smoothcoat Mini Dachsie male. His right eye is blue, left eye green. Adult weight 8 pds. 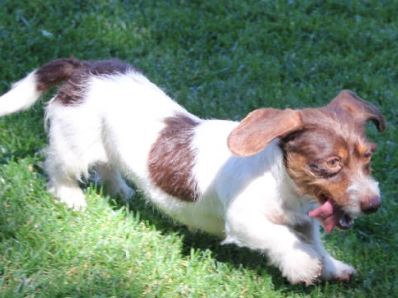 VIEW OUR STUD AND DAMS PAGES BY CLICKING ON MINIATURE DACHSHUND PUPS. DROP DOWN BOXES WILL APPEAR FOR THOSE PAGES. 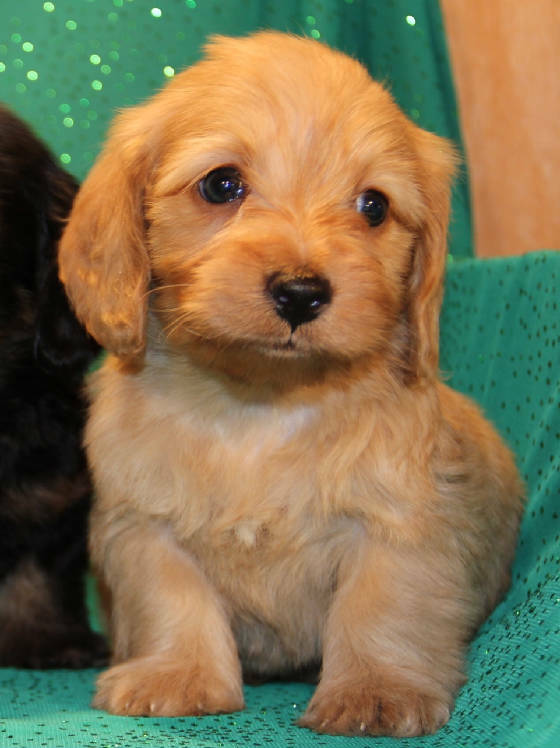 Early deposits of $250 are being accepted to reserve a future puppy. Deposits are Non-refundable but can be transferred to another litter. 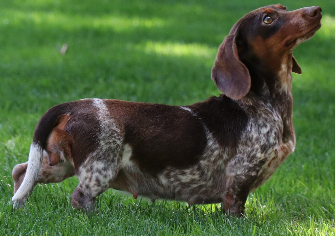 Skye & Speckles-n-Spots Miniature Dachshund smoothcoat litter born March 2, 2019. Ready April 27, 2019 at 8 weeks of age. 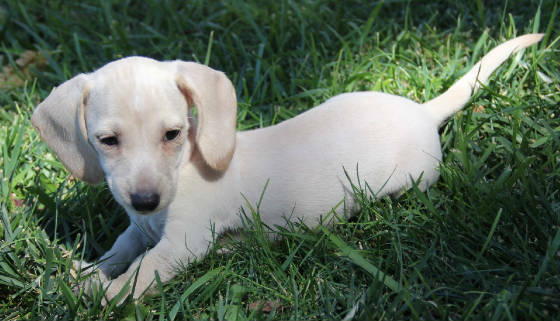 Periwinkle & Snoopy's smoothcoat Miniature Dachshund litter born 3/18/19. Ready 5/13/19 at 8 weeks of age! Rayna & Rottie's litter of Miniature Dachshunds born February 4, 2019 and ready at 8 weeks of age on April 1, 2019! CONFIRMED PREGNANCY Annie and Rottie are expecting April 23, 2019 or after. 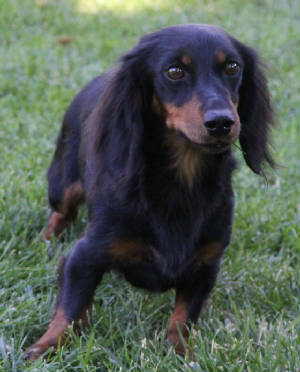 Miniature Dachshund smoothcoat litter will have black/tan and chocolate/tan dapples, piebalds and solids. Raven & Ajax are the proud parents of 5 smoothcoat Miniature Dachshund male puppies born 4/19/19 ready June 14, 2019. CONFIRMED PREGNANCY Poppy and Snoopy are expecting April 20, 2019 or after. 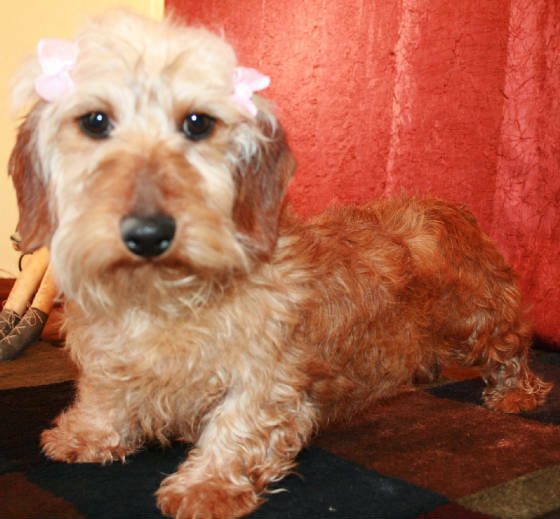 Their Miniature Dachshund litter will consist of Piebalds in Black/tan, Chocolate/tan in wirehair and possibly smoothcoats. Kaitlynn and Papa Smurf are expecting April 23, 2019 or after. 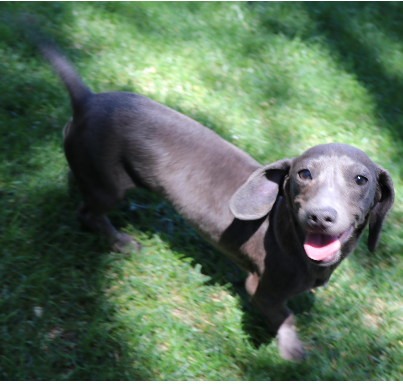 Smoothcoated Miniature Dachshunds expected in Blue/tan, Isabella/tan Dapples and Solids. Georgia Sweet Pie and Speckles-n-Spots are expecting April 23, 2019 or after. 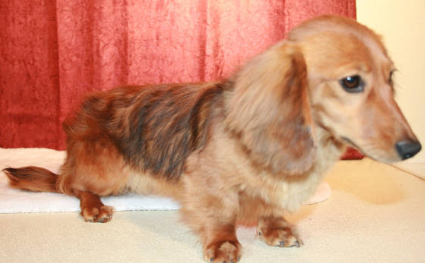 Smoothcoated Miniature Dachshunds expected in Chocolate/tan, Isabella/tan Piebalds and Dapples. Sweet Pea and Mr. Bean's Miniature Dachshund wirehair litter born March 2, 2019 ready April 27, 2019. 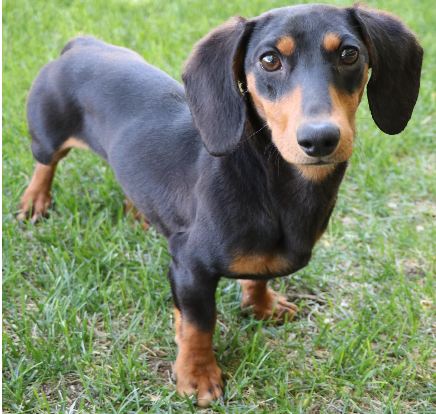 Lady and Tuxedo have a Miniature Dachshund litter born March 8, 2019 ready May 3, 2019! 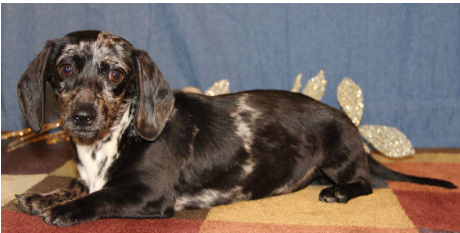 DeeDee and Macall are expecting a Miniature Dachshund litter May 9, 2019 or after. Expecting Black/tan and Chocolate/tan dapples and solids. Smoothcoated puppies possibly longhairs too. 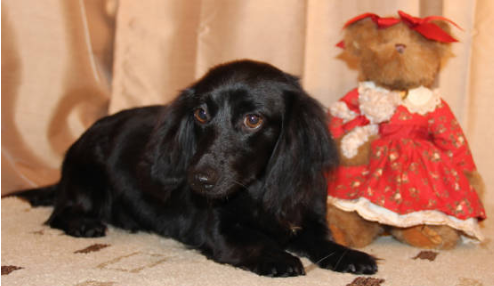 Deposit by Clara P. of CO Spgs., CO *wanting a 2nd Dachsie from us! 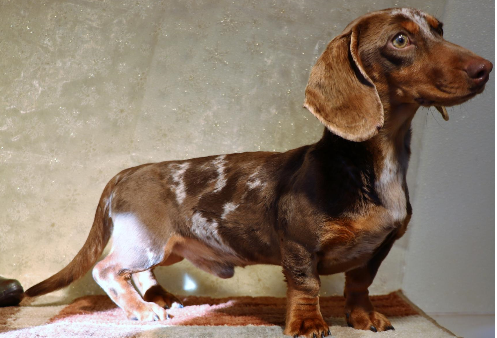 A dapple male. 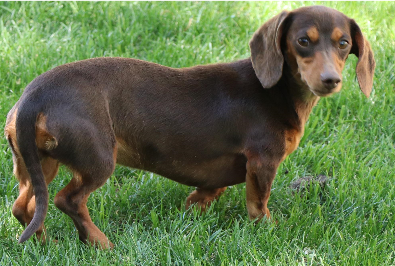 Reeses & Ollie's litter of 4 smoothcoated Miniature Dachshund puppies arrived April 14, 2019 ready June 9, 2019. Destiny and Macall are expecting a Miniature Dachshund litter May 16, 2019 or after. Expecting Black/tan and Chocolate/tan dapples and solids. Smoothcoated puppies possibly longhairs too. 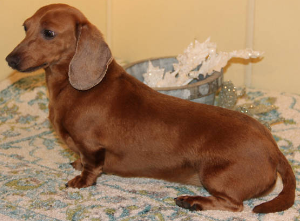 JoJo and Ajax are expecting a Miniature Dachshund litter June 2, 2019 or after. 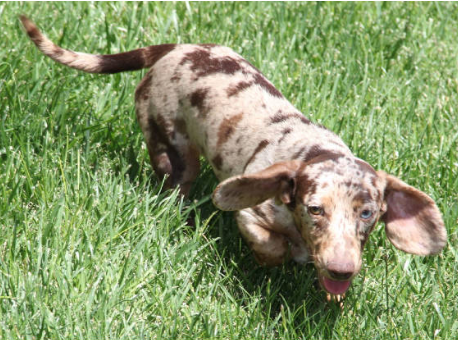 Should consist of black/tan, chocolate/tan, and red in dapples, solids with brindle or full bodied brindles. 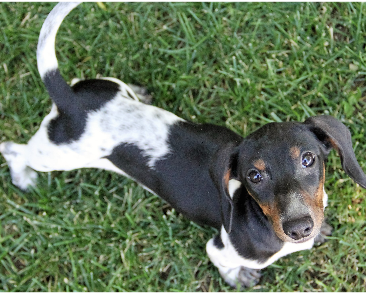 Jane S. of CO wanting a dapple female in exchange for our new stud Ajax.